Bilateral pleural effusion with blunting of both costodiaphraghmatic angles. Maked enlargement of the heart silhouette with staightening of the left heart border and splaying of carina. 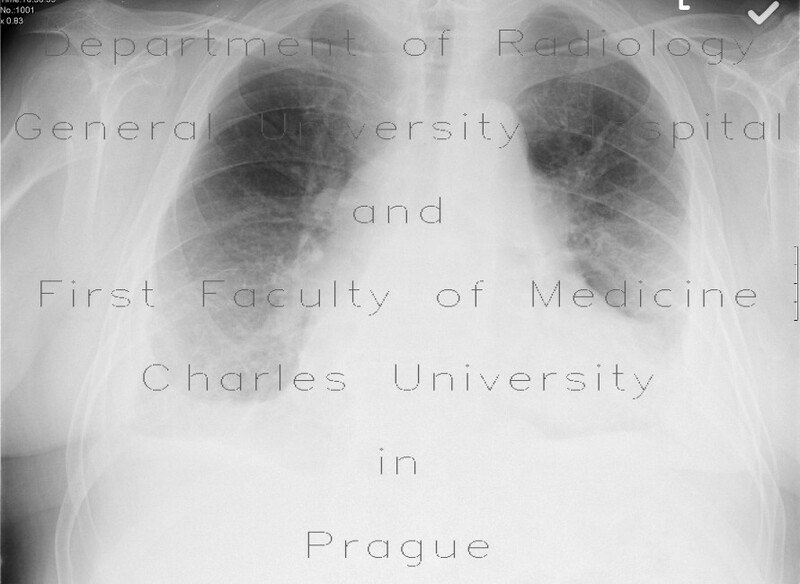 Kerley B lines on bothe sides laterally as a hallmark of chronic lung congestion.